The soft chamber is made of plastic, and the hard chamber is made of glass and steel. So, hard vs. soft? : If a parent wishes to leave no stone unturned in their journey to recover their child, they may choose to try hyperbaric treatments. All things being equal (and they rarely are), I would go with the hard chamber first. If you choose the soft chamber, and it doesn’t help, you will STILL want to try the hard chamber. If, on the other hand, you try the hard chamber first and it DOESN’T work, you can pretty much figure that the soft one won’t add anything to your search. If the hard chamber DOES work, well, you could still give a trial of the soft chamber to see if you get similar results. Or, like many patients, you could continue the hard chamber if you are seeing results. 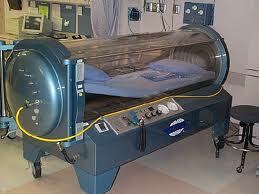 Next in Part III, the science of hyperbaric treatments. This entry was posted on Tuesday, January 18th, 2011 at 5:43 pm	and is filed under >ALL<, HBOT for ASD. You can follow any responses to this entry through the RSS 2.0 feed. You can leave a response, or trackback from your own site. Merely like to say your story is astonishing . The distinctiveness in your story is simply formidable and I can take for granted that you are an adept on this area . With your permission approve me to grab your rss feed to be up to speed with future posts . Thank you a million and please go on with the fabulous job . Thanks… if you could give a link that would be appreciated. What Is a Hiatal Hernia Diet? I would have to look it up, also. ? Choosing foods in a way to keep the food from sloshing back up from your stomach into your esophagus – the thought being that if you have a hiatal hernia, your gastro-esophageal junction doesn’t function so well. I do not really have a great deal to say in reply, I only this minute want to comment to say excellent job. It looks like you’ve put a lot of effort into this post and we require much more of these on the web these days. Basically, the post is de facto the greatest on this deserving theme. I agree with your conclusions and will sedulous look onward to your comming updates. With your authorisation approve me to take your feed to be up to speed with future stories. Thanks a million and please go on with the sound job. I think this thought is the best thought I have listened in a long time. . Really. Not everyone will have it. So I cerebrate Complaint be differtent from others if I own it. It will must experience grand , i mean…. Paralleling or calling MILD hyperbaric (HBT) to HYPERBARIC OXYGEN THERAPY (HBOT) is a false statement. HYPERBARIC OXYGEN THERAPY OR HBOT is the delivery of 100 percent medical grade oxygen (requires a prescription) in a pressurized hard chamber. Manufactures, distributors and treatment centers of the mild chambers either advertise these chambers as Hyperbaric Oxygen Chambers or parallel the description to hyperbaric oxygen chambers. Many parents and caregivers are under the impression that both are equal. Isn’t that what I said??? Well, at least you got a commercial in. Hello, I see interesting this article and web page, I think that it makes a lot of sense to try out the hard chamber before purchasing the soft chamber, but the real benefits for patients under HBOT (hard chamber) treatment, will show up until at least 6 month continuous exposure to the conditions offered inside the chamber. This represent a large cost and a lot of effort on the families that will like to try this treatment. 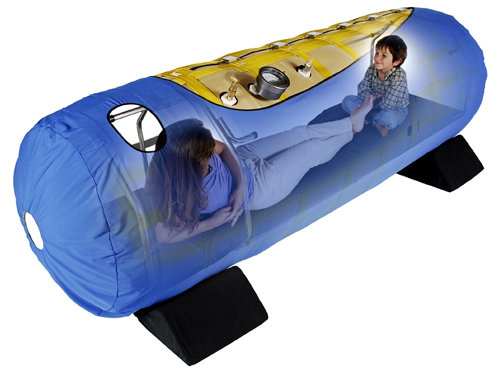 This can be done at their own houses, there has been a lot of changes on the last 4 years on MILD hyperbaric chamber industry, and the pressure can be safely managed to go up to 1.4 ATA when most of the hard chambers work under 1.5 ATA. 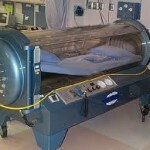 Considering the costs involved on this I really think that having a Portable MILD hyperbaric chamber is better option. Anyways I like a lot this article and web page. I think this is a responsible writing about a really sensitive issue and having a responsible point of view is very important. A lot of people get misguidance because of the multiple details that should be taken into consideration for this kind of desition. Greetings from a Mexican in China reading about hyperbaric chambers points of view in South Africa!